The book is divided into four main parts. Part 1.1 begins with a basic introduction to the techniques of health and safety risk management and continues with a description of ISO 45001. Part 1.2 covers basic human factors including how the sense organs work and the psychology of the individual. Part 2.1 deals with more advanced techniques of risk management including advanced incident investigation, audit and risk assessment, and Part 2.2 covers a range of advanced human factors topics including human error and decision making. 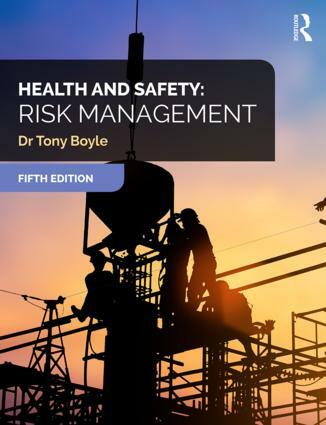 This authoritative treatment of health and safety risk management is essential reading for both students working towards degrees, diplomas and postgraduate or vocational qualifications, and experienced health and safety professionals, who will find it invaluable as a reference.